Connecting academic and extracurricular experiences with professional opportunities. 72% of graduates who participated in an internship were offered a job from their internship company. 95% of employees are looking for college grads with experience. Entry level positions earn 6.5% more if they had job experience. 85% of employers say hiring interns was a a positive experience. 86% of students polled say their internship was a positive experience. develop professional work skills, and obtain a competitive advantage in the job search. Why take an Academic Internship? Career Exploration! Internships allow students to gain exposure to potential careers discover possible career paths for specific majors, and narrow down “good-fit” career searches. For the professional experience! Employers increasingly want to see experience in the new college grads they hire. Nearly half of surveyed employers wanted new-grad experience to come from internships or co-op programs. To earn college credit! Internships can be taken for credit in the student’s major or for elective credit – resulting in transcripts reflecting the experience – possibly leading to advantages when applying to graduate school. For self-improvement! Internships provide the opportunity to discover your strengths, work on your weaknesses, realize career readiness, and discover gaps between your education, interests, & skill-set all while building your resume! Students looking for elective credit and valuable professional experience! Students who have completed a minimum of 40 accumulated credits and have a cumulative GPA of 2.5 are eligible to take an internship for elective credit through the Center for Experiential Learning. Students who are required to take an internship for their departmental major! Departmental supervised internships are required for students studying a variety of majors such as Social Work, Kinesiology, Accounting, Criminal Justice and Sports Management. Students should contact their Academic Advisors for more information. Students who aren’t quite sure yet, where to direct their professional goals! Internships allow students to have hands-on experience in exploring different career paths available to their field of study. An Exploratory Internship is available to First Year students. Where do Loras College students Intern? The Dubuque & surrounding Community offers opportunities in area non-profit and for-profit businesses such as the Telegraph Herald, McGraw-Hill, Dubuque County, State Public Defender’s office, Holy Family Catholic Schools, Victory Ford, etc. Nationally, students regularly complete internships in their hometowns across the country. In addition to smaller companies in hometowns, students have interned at widely-known companies through The Washington Center, Disney, Prudential, Express Employment Services, etc. World-wide opportunities exist in Ireland, Portugal, etc. through the Loras Study Abroad program in addition to international students gaining internship experience in their homeland. How can internship positions be found? The Experiential Learning Center on campus posts positions on bulletin boards, sends email notices out to students, and offers workshops on finding & preparing for internships and career positions. 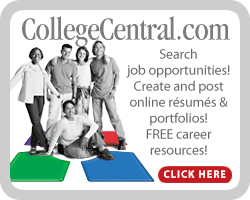 CollegeCentral.com is a primary source for business to post internship & employment opportunities. Postings are updated regularly. Get connected via the link at the bottom of this page. AccessDubuque.com provides a filter for searching for internships in the Dubuque area. LinkedIn has proven to be a successful tool for internship searches.  Business funded internships – Some companies have internship programs that pay interns a regular wage. Adducci Loan – Offers interest-free funds to students needing support for travel/accommodations while interning. My internship at Sunnycrest Manor has taught me many things, but the most important has been to be myself! By being my true-self, it is then that my professional work is truly worth doing. I was able to discover strengths and weaknesses in my social work skills and continue to work at them on a daily basis. Sunnycrest Manor taught me that there is more to a career than the day to day routine. "I was able to discover strengths and weaknesses in my social work skills and continue to work at them"
My biggest accomplishments were developing my ministerial gifts and witnessing the examples of the staff…being comfortable in my own skin and having the confidence to engage with the people of the mission…I learned how important it is to find a vocation, to find a job that fulfills your passion but also give back to the community…I have never seen people illustrate God’s mercy so genuinely than through the people at the mission. Watching and being able to work with them this semester has been such an amazing blessing. "I learned how important it is to find a vocation, to find a job that fulfills your passion but also give back to the community"
We realize the transition from high school to college to an internship can seem like an overwhelming gap, let us help you find the bridge! Contact us for more information and to explore options. Prospective employers can post career opportunities & internships.